It will begin on September 21st. The Victorian and Albert Museum, London’s premier museum of art and design, will be opening their Pearl Exhibit. The Focus: Showcasing the history and beauty of one of the world’s most beautiful and mysterious of jewels; the pearl. Pearls are one of the most enchanting jewels on earth, because they are surrounded in mystery. Created deep below the surface of the sea, in a process that is only short of magical. The rarity and difficulty of locating and obtaining pearls have made it one of the most sought after of valuable objects. Pearls often played an important role in the royal courts during the 18thand 19 centuries. And just like today, anything the royal family took a fancy to immediately became a social phenomenon. As styles and status symbols have changed over the centuries, pearls have maintained its position as a symbol of beauty, elegance and mystery. This exhibit will also explore the beauty and mystery of the cultured pearl. As with many aspects of nature, man has attempted to replicate or in some way improve upon this lovely natural creation. Cultured pearls really took on the retail potential when Kokichi Mikimoto was granted a patent allowing him to experiment with creating cultured, round pearls in Japan. Mikimoto’s dream was “to adorn the necks of all the women of the world with pearls.” By the 1950’s his dream had been realized and cultured pearls dominated the market. The company that Mikimoto left behind is still a renowned creator of cultured pearls and known for their quality jewels. 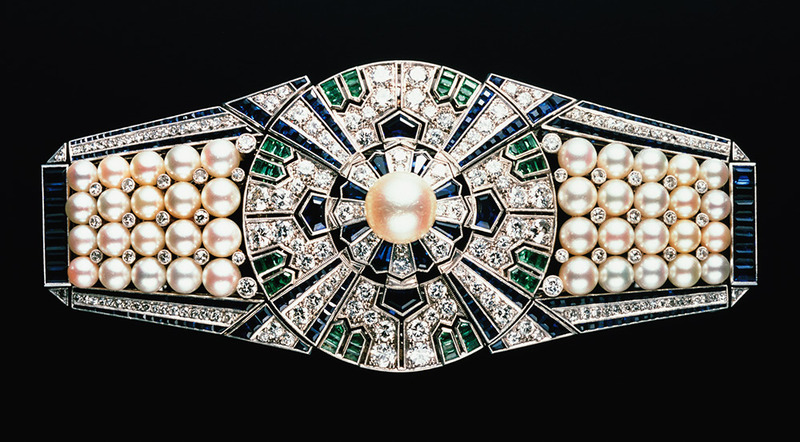 The 1930s and 40s were a time of extravagance and luxury in Europe, resulting in some very lavish pearl pieces. Five strand, graduated natural pearl strand necklaces accented with diamonds will be among pieces on display. Rare pieces such as “The Lover’s Eye Brooch” of the 1800s are an example of pieces of jewelry that went out of fashion rather quickly, thus adding to their rarity and value. 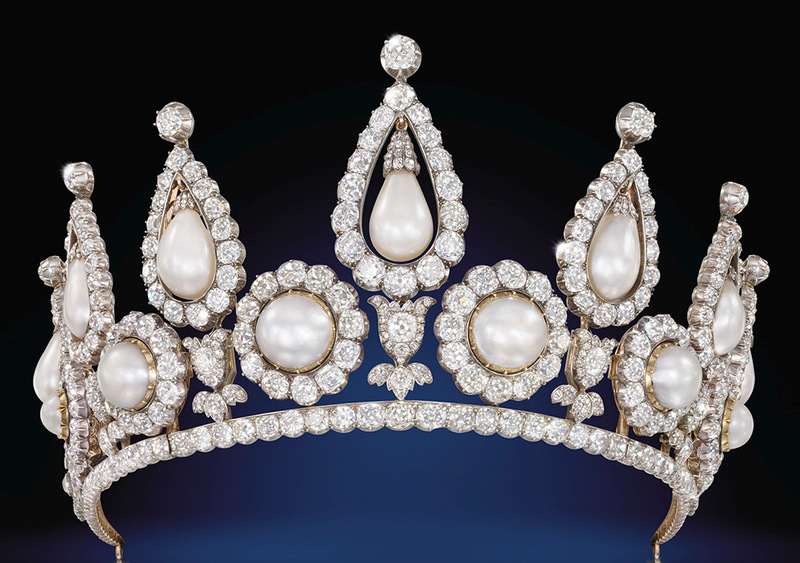 Among the exhibits include pearls that earlier belonged to European royals, American music stars and East Asian leaders. Major exhibits:-Pearl-drop earring worn by deposted English monarch Charles I to his 1649 execution-a necklace of cultured pearls gifted by New York Yankees slugger Joe DiMaggio to his then-wife Marlyn Monroe in 1954-the world’s largest pearl, the 14-pound Pearl of Allah, which originally belong to a Filipino tribal chieftan-Pearl jewelry designed by Bvlgari, Cartier, Chaumet, Rene Lalique, Tiffany.